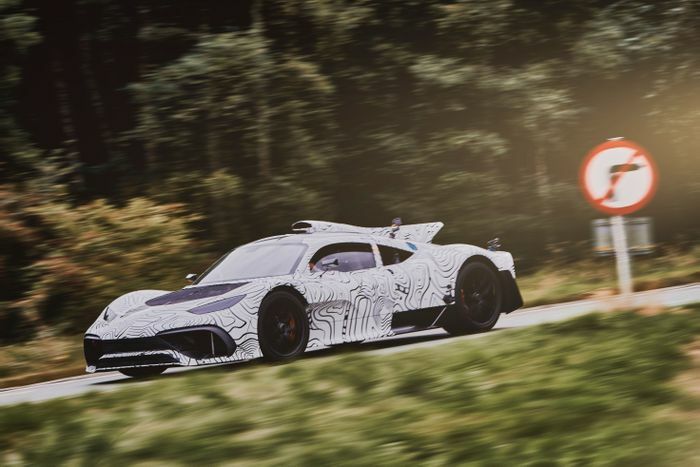 We may have first seen the Mercedes-AMG Project One at the 2017 Frankfurt Motor Show, but the car you see here isn’t quite the same thing. The machine revealed last year was a concept show car, but now Mercedes has published pictures of the real deal. 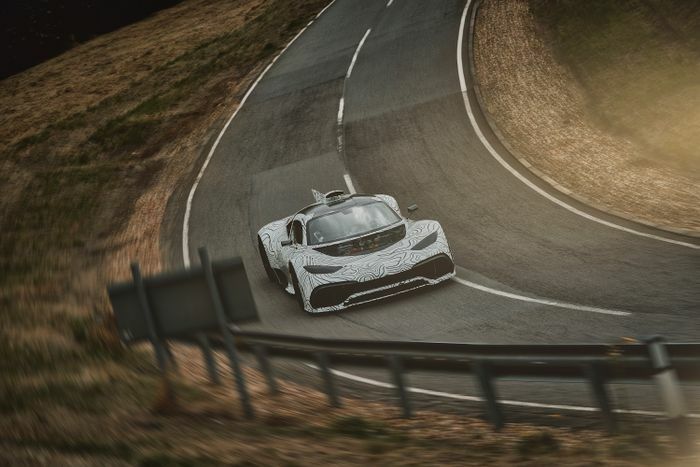 The powertrain has also undergone hundreds of hours of dyno sessions at Mercedes’ engine testing facility in Brixworth, Britain, which simulated high-speed laps of some of the world’s most challenging race tracks. Testing of the complete prototype also took place in England, at a “secret test ground”. Judging by these images, we reckon it’s Millbrook, a popular site for manufacturers wanting to test new products. “Because of their specific and very characteristic F1 sound they [the prototypes] are hard to keep from the public,” Mercedes said. 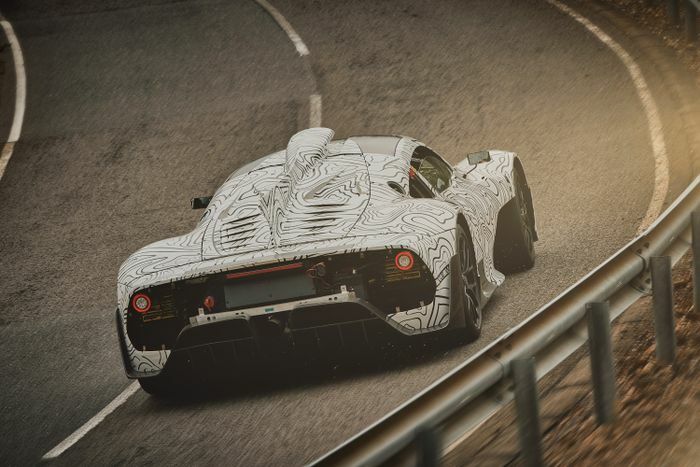 Mercedes has released plenty of Project One figures before, though. That 1.6-litre V6 turbo hybrid powertrain develops 1007bhp, propelling around 1300kg of car. 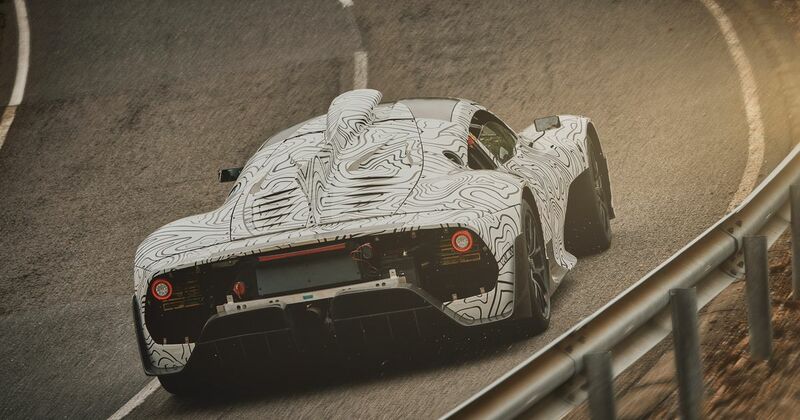 It’ll do 0-124mph in just six seconds, and while it won’t rev up to the 15,000rpm limits usually found on modern F1 cars, it will still hit an impressive 11,000rpm.